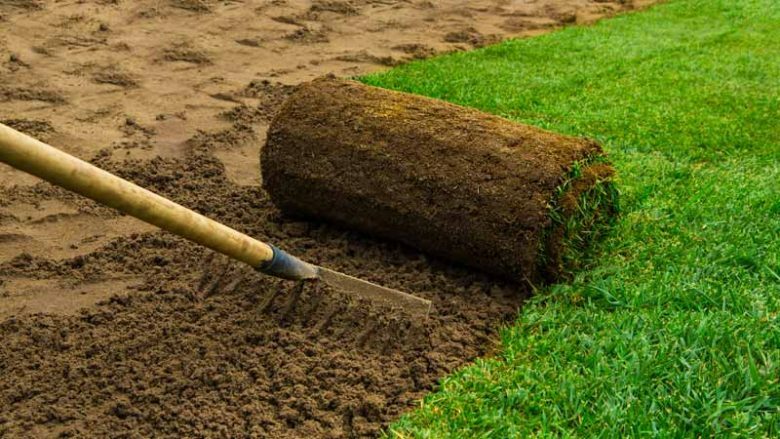 If you think your lawn could do with a bit of a facelift, or if you just want to add a bit more grassed space to your yard, or you have just built a new home and you want an immediate lawn solution, then roll on turf is the perfect solution. Yes, you can sow some grass seed and get pretty much the same result, but growing grass takes ages, albeit costing a lot less. Instant gratification calls for instant lawn. If you have an existing lawn, that’s obviously going to need removing. If you are putting down roll on turf for the first time in the new house, then you can skip this step. You can remove old lawn a couple of ways and it will depend on your fitness level and the size of the old lawn area. Using a spade to remove the old lawn is a job for a few mates and a BBQ afterwards. It’s a lot easier and twice as much fun if you hire a turf cutter which removes the grass and roots quickly. Cleaning up is easier as well because the cutter rips up the old grass in chunks, or strips, which can then be rolled up and removed.